Note: This Early Access game is not complete and may or may not change further. If you are not excited to play this game in its current state, then you should wait to see if the game progresses further in development. 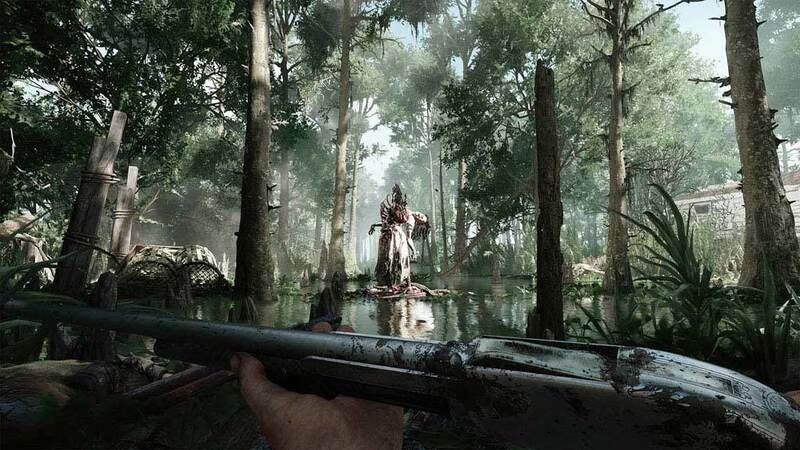 Savage, nightmarish monsters roam the Louisiana swamps, and you are part of a group of rugged bounty hunters bound to rid the world of their ghastly presence. Banish these creatures from our world, and you will be paid generously—and given the chance to buy more gruesome and powerful weapons. Fail, and death will strip you of both character and gear. Your experience, however, remains in your pool of hunters—called your Bloodline—always. 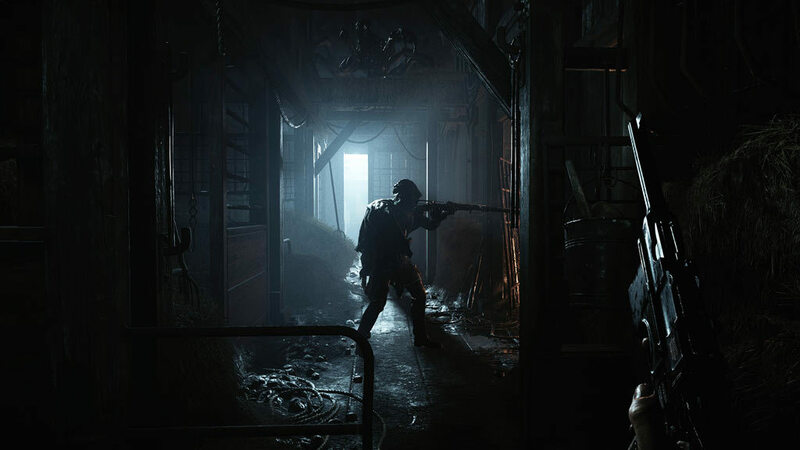 Hunt’s competitive, match-based gameplay mixes PvP and PvE elements to create a uniquely tense experience where your life, your character, and your gear are always on the line. 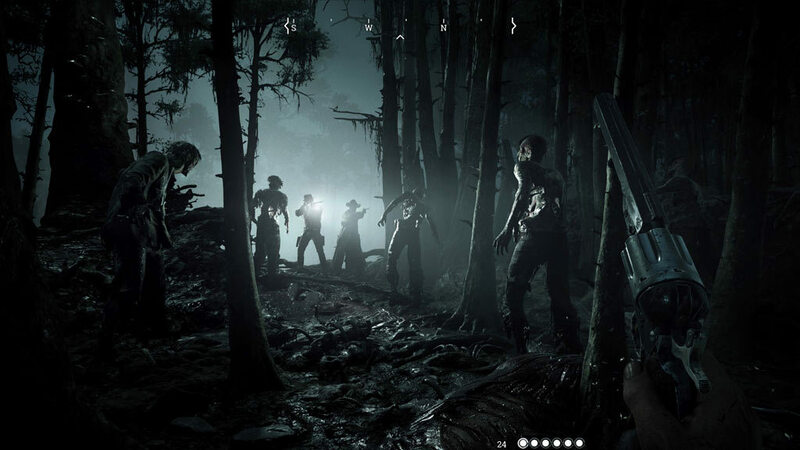 At the beginning of each match, depending on whether you have chosen team play or solo play, up to five teams of two or ten solo players set out to track their monstrous targets. Once they’ve found and defeated one of these they will receive a bounty—and instantly become a target for every other Hunter left on the map. If you don’t watch your back, you’ll find a knife in it, and your last memory will be of another team of Hunters walking away with your prize. The higher the risk, the higher the reward–but a single mistake could cost you everything. 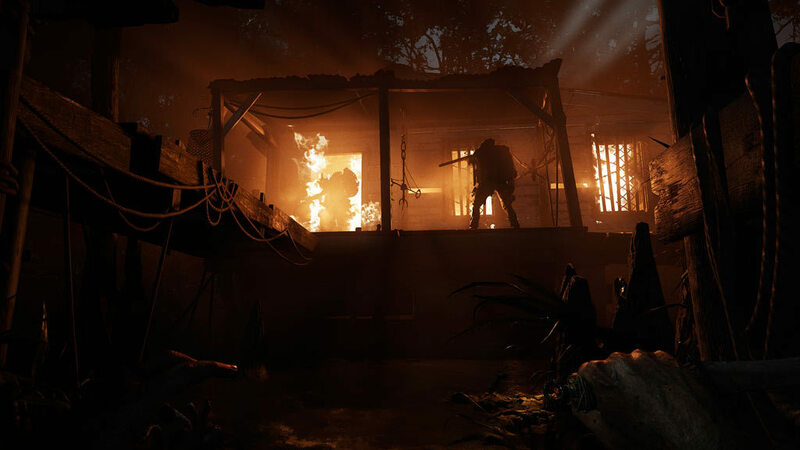 © 2018 Crytek GmbH. All rights reserved. 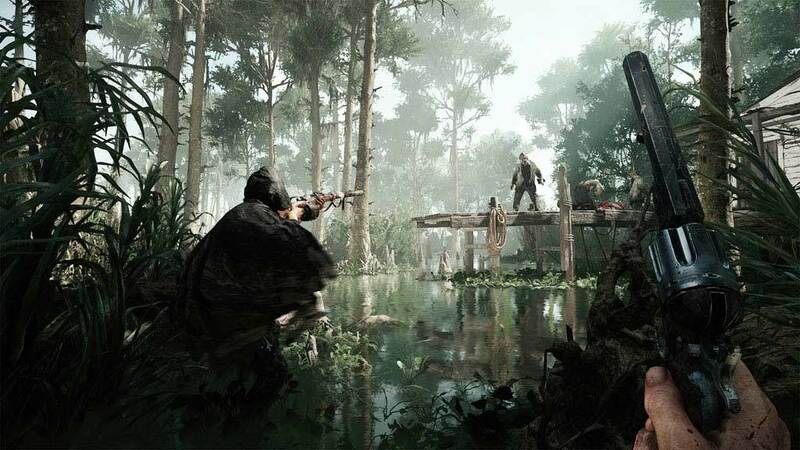 Crytek, CRYENGINE, Hunt: Showdown and the respective logos are trademarks or registered trademarks of the Crytek group in the EU, U.S. and/or other territories. All other trademarks are the property of their respective owners.